2 Vertical Expander Length adjustment of second expansion is done by motor reducer, sprocket and chain which drive thread bar to rotate synchronous, thread bar connect with coder and the length change can be showed on the PLC terminal screen. 3 The vertical exander lower supporter between the two controlling end plates can realize rise and descend synchronous through the motor and worm gear box, hydraulic lock. You can also choose lower thread bar rotary coder so as to realize length change can be showed on the touch screen screen. 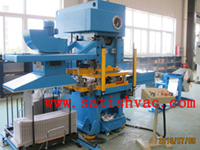 4 Expanding rod quick fixed, pneumatic lock and expanding rod protective device are fixed on the machine. The protective device will stop operating automatically to avoid damaging expanding rod, once expanding rod run into unexpected case and bend. 5 Receiver is provided with locking structure, which will not be pulled out when unload and it is also convenient for changing the specification. In order to take out the work piece conveniently, you can also choose air cylinder to raise the work piece (It`s only for Single working station). 6SVE-2000 door use compound structure of steel and aluminum. 7 The Vertical Expander provides with two guide systems, guide column and slide guide rail. The complete machine has good rigidity. 8 The whole template is processed by imported machine center with high precision, which can be changed with each other when the specification is changed. 9.Regarding to the model of expander length more than 1600mm, besides routine manual door for loading and unloading coil, it also can choose to match to incline 84° for assemble rack. If the coil length is less than 1200mm, machine also matched with manual work door. (For manual door, the corresponding holes should be reduced. 10.2 Pneumatic parts use high quality products, SMC products for first choice. 10.4 For main electric components (limit switch, switch button, air switch, contactor, relay, thermal relay) use high quality components, electrical control system will conform to safety standard. The brand of SCHNEIDER High quallity vertical expander with stable performance willl add your value for your production. Looking for ideal Mechanical Expander Manufacturer & supplier ? We have a wide selection at great prices to help you get creative. All the Mechanical Expander are quality guaranteed. 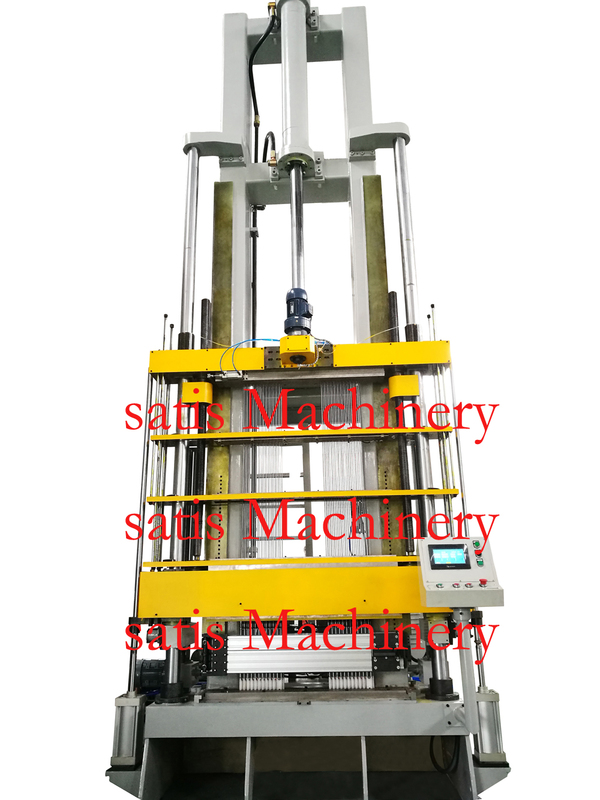 We are China Origin Factory of Mechanical Vertical Expander. If you have any question, please feel free to contact us.